For other people named Joseph Swan, see Joseph Swan (disambiguation). Sir Joseph Wilson Swan FRS (31 October 1828 – 27 May 1914) was an English physicist, chemist, and inventor. He is known as an independent early developer of a successful incandescent light bulb, and is the person responsible for developing and supplying the first incandescent lights used to illuminate homes and public buildings, including the Savoy Theatre, London, in 1881. In 1904, Swan was knighted by King Edward VII, awarded the Royal Society's Hughes Medal, and was made an honorary member of the Pharmaceutical Society. He had received the highest decoration in France, the Legion of Honour, when he visited the 1881 International Exposition of Electricity, Paris. The exhibition included displays of his inventions, and the city was lit with his electric lighting. Swan was the maternal grandfather of Christopher Morcom, Alan Turing's close friend and first love during their studies at the Sherborne boarding school. Joseph Wilson Swan was born in 1828 at Pallion Hall in Pallion, in the Parish of Bishopwearmouth, Sunderland, County Durham. His parents were John Swan and Isabella Cameron. Swan was apprenticed for six years to a Sunderland firm of druggists, Hudson and Osbaldiston. However, it is not known if Swan completed his six-year apprenticeship, as both partners subsequently died. He was said to have had an enquiring mind, even as a child. He augmented his education with a fascination of his surroundings, the industry of the area, and reading at Sunderland Library. He attended lectures at the Sunderland Atheneum. Swan subsequently joined Mawson's, a firm of manufacturing chemists in Newcastle upon Tyne, started in the year of Swan's birth by John Mawson (9 September 1819 – 17 December 1867), the husband of his sister, Elizabeth Swan (22 November 1822 – 2 August 1905). In 1846, Swan was offered a partnership at Mawson's. This company subsequently existed as Mawson, Swan and Morgan until 1973, formerly located on Grey Street in Newcastle upon Tyne, near Grey's Monument. The premises, now occupied by burger chain restaurant Byron, can be identified by a line of Victorian-style electric street lamps in front of the store on Grey Street. Swan lived at Underhill, Low Fell, Gateshead, a large house on Kells Lane North, where he conducted most of his experiments in the large conservatory. The house was later converted into a private fee paying, grant aided co-educational grammar school named Beaconsfield School. Here, students could still find examples of Swan's original electrical fittings. In 1850, Swan began working on a light bulb using carbonised paper filaments in an evacuated glass bulb. By 1860, he was able to demonstrate a working device, and obtained a British patent covering a partial vacuum, carbon filament incandescent lamp. However, the lack of a good vacuum and an adequate electric source resulted in an inefficient light bulb with a short lifetime. In 1875, Swan returned to consider the problem of the light bulb with the aid of a better vacuum and a carbonised thread as a filament. The most significant feature of Swan's improved lamp was that there was little residual oxygen in the vacuum tube to ignite the filament, thus allowing the filament to glow almost white-hot without catching fire. However, his filament had low resistance, thus needing heavy copper wires to supply it. Swan first publicly demonstrated his incandescent carbon lamp at a lecture for the Newcastle upon Tyne Chemical Society on 18 December 1878. However, after burning with a bright light for some minutes in his laboratory, the lamp broke down due to excessive current. On 17 January 1879, this lecture was successfully repeated with the lamp shown in actual operation; Swan had solved the problem of incandescent electric lighting by means of a vacuum lamp. On 3 February 1879, he publicly demonstrated a working lamp to an audience of over seven hundred people in the lecture theatre of the Literary and Philosophical Society of Newcastle upon Tyne, Sir William Armstrong of Cragside presiding. Swan turned his attention to producing a better carbon filament, and the means of attaching its ends. He devised a method of treating cotton to produce "parchmentised thread", and obtained British Patent 4933 on 27 November 1880. From that time he began installing light bulbs in homes and landmarks in England. His house, Underhill, Low Fell, Gateshead, was the world's first to have working light bulbs installed. The Lit & Phil Library in Westgate Road, Newcastle, was the first public room lit by electric light during a lecture by Swan on 20 October 1880. In 1881, he founded his own company, The Swan Electric Light Company, and started commercial production. The Savoy, a state-of-the-art theatre in the City of Westminster, London, was the first public building in the world lit entirely by electricity. Swan supplied about 1,200 incandescent lamps, powered by an 88.3-kilowatt (118.4-horsepower) generator on open land near the theatre. The builder of the Savoy, Richard D'Oyly Carte, explained why he had introduced Swan's electric light: "The greatest drawbacks to the enjoyment of the theatrical performances are, undoubtedly, the foul air and heat which pervade all theatres. As everyone knows, each gas-burner consumes as much oxygen as many people, and causes great heat beside. The incandescent lamps consume no oxygen, and cause no perceptible heat." The first generator proved too small to power the whole building, and though the entire front-of-house was electrically lit, the stage was lit by gas until 28 December 1881. At that performance, Carte stepped onstage and broke a glowing lightbulb before the audience to demonstrate the safety of Swan's new technology. On 29 December 1881, The Times described the electric lighting as superior, visually, to gaslight. The first private residence, other than the inventor's, lit by the new incandescent lamp was that of his friend, Sir William Armstrong at Cragside, near Rothbury, Northumberland. Swan personally supervised the installation there in December 1880. Swan had formed "The Swan Electric Light Company Ltd" with a factory at Benwell, Newcastle, and had established the first commercial manufacture of incandescent lightbulbs by the beginning of 1881. Swan's carbon rod lamp and carbon filament lamp, while functional, were still relatively impractical due to low resistance (needing very expensive thick copper wiring) and short running life. While searching for a better filament for his light bulb, Swan inadvertently made another advance. In 1881, he developed and patented a process for squeezing nitrocellulose through holes to form conducting fibres. His newly established company (which by merger eventually became the Edison and Swan United Company) used Swan's cellulose filaments in their bulbs. The textile industry has also used this process. The first ship to use Swan's invention was The City of Richmond, owned by the Inman Line. She was fitted with incandescent lamps in June 1881. The Royal Navy also introduced them to their ships soon after; with HMS Inflexible having the new lamps installed in the same year. An early employment in engineering was during the digging of the Severn Tunnel, where contractor Thomas Walker installed "20-candlepower lamps" in the temporary pilot tunnels. Swan was one of the early developers of the electric safety lamp for miners, exhibiting his first in Newcastle upon Tyne at the North of England Institute of Mining and Mechanical Engineers on 14 May 1881. This required a wired supply, so the following year, he presented one with a battery and other improved versions followed. By 1886, a lamp with better light output than a flame safety lamp was in production by the Edison-Swan Company. However, it suffered from problems of reliability and was not a success. It took development by others over the next 20 years or so before effective electric lamps were in common use. Edison & Swan United Electric Light Company, otherwise known as "Ediswan"
In what are considered to be independent lines of inquiry, Swan's incandescent electric lamp was developed at the same time Thomas Edison was working on his incandescent lamp with Swan's first successful lamp and Edison's lamp both patented in 1879. Edison's goal in developing his lamp was for it to be used as one part of a much larger system: a long-life high-resistance lamp that could be connected in parallel to work economically with the large-scale electric-lighting utility he was creating. Swan's original lamp design, with its low resistance (the lamp could only be used in series) and short life span, was not suited for such an application. Swan's strong patents in Great Britain led, in 1883, to the two competing companies merging to exploit both Swan's and Edison's inventions, with the establishment of the Edison & Swan United Electric Light Company. Known commonly as "Ediswan", the company sold lamps made with a cellulose filament that Swan had invented in 1881, while the Edison Company continued using bamboo filaments outside of Britain. In 1892, General Electric (GE) began exploiting Swan's patents to produce cellulose filaments, until they were replaced in 1904 by a GE developed "General Electric Metallized" (GEM) baked cellulose filaments. In 1886, Ediswan moved production to a former jute mill at Ponders End, North London. In 1916, Ediswan set up the UK's first radio thermionic valve factory at Ponders End. This area, with nearby Brimsdown subsequently developed as a centre for the manufacture of thermionic valves, cathode ray tubes, etc., and nearby parts of Enfield became an important centre of the electronics industry for much of the 20th century. Ediswan became part of British Thomson-Houston and Associated Electrical Industries (AEI) in the late 1920s. When working with wet photographic plates, Swan noticed that heat increased the sensitivity of the silver bromide emulsion. By 1871, he had devised a method of using dry plates, and substituting nitrocellulose plastic for glass plates, thus initiating the age of convenience in photography. Eight years later, he patented bromide paper, developments of which are still used for black-and-white photographic prints. In 1864, Swan patented the transfer process for making carbon prints, a permanent photographic process. By adding the transfer step, Swan was able to easily make photographs with a full tonal range. In 1894, Swan was elected a Fellow of the Royal Society (FRS), and in September 1901, he was awarded the honorary degree of Doctor of Science (D.Sc.) from Durham University. In 1904, he was knighted, awarded the Royal Society's Hughes Medal, and made an honorary member of the Pharmaceutical Society. Swan died in 1914 at Warlingham in Surrey. In 1945, the London Power Company commemorated Swan by naming a new 1,554 GRT coastal collier SS Sir Joseph Swan. ^ a b c d e f g "Pharmacy — the mother of invention? — Sir Joseph Swan (1828–1914)". RPSGB.org.uk. Royal Pharmaceutical Society of Great Britain (RPSGB). Archived from the original on 24 September 2006. Retrieved 11 January 2010. Swan made groundbreaking discoveries in the fields of electric lighting and photography. He had already received the Legion of Honour when he visited an international exhibition in Paris in 1881. The exhibition included exhibits of his inventions, and the city was lit with electric light, thanks to Swan's invention. ^ Hodges, Andrew (2012). Alan Turing: The Enigma (The Centenary Edition). UK; US: Princeton University Press. p. 38. ISBN 978-0-691-15564-7. ^ "Turing biography". MacTutor History of Mathematics archive. Retrieved 26 June 2016. ^ Plumley, Jon. 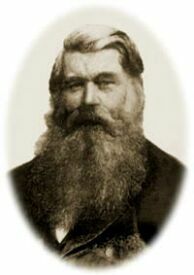 "Joseph Swan: Biography". www.kstc.co.uk. Archived from the original on 6 May 2017. Retrieved 10 January 2018. ^ a b "Lighting A Revolution: Joseph W. Swan". americanhistory.si.edu. Retrieved 10 January 2018. ^ "Tale of tragedy behind the triumphs of Joseph Swan". The Journal. 11 December 2016. ^ Glover, Andrew (8 February 2011). "Alexander Armstrong in appeal to save Lit and Phil". The Journal. Archived from the original on 15 February 2011. Retrieved 8 February 2011. The society's lecture theatre was the first public room to be lit by electric light, during a lecture by Sir Joseph Swan on October 20, 1880. ^ "Dec. 18, 1878: Let There Be Light — Electric Light". Retrieved 10 January 2018. ^ "Joseph Wilson Swan". Timmonetk. Retrieved 21 July 2010. ^ Walker, Thomas A (1888). The Severn Tunnel Its Construction and Difficulties. London: Richard Bentley and Son. p. 73. ^ "University intelligence". The Times (36573). London. 30 September 1901. p. 4. ^ Anderson, James B (2008). Sommerville, Iain (ed.). "Ships built by the Burntisland Shipbuilding Company Ltd: arranged by date of launch". Welcome to Burntisland. Iain Sommerville. Retrieved 16 June 2011. Clouth, D.E. (1979). Joseph Swan 1828–1914: A pictorial account of a North Eastern scientist's life and work. Gateshead: Gateshead Metropolitan Borough Council, Dept of Education. ISBN 978-0905977072. "Swan, Sir Joseph Wilson" . Encyclopædia Britannica (11th ed.). 1911. Gilman, D. C.; Peck, H. T.; Colby, F. M., eds. (1905). "Swan, Joseph Wilson" . New International Encyclopedia (1st ed.). New York: Dodd, Mead. This page was last edited on 8 March 2019, at 22:14 (UTC).